By signing up, I agree to MaldivianHolidays.com’s Term of Service, Guest Refund Policy, and Booking Gaurantee Terms. Over-water and underwater gasps of pleasure at Chaaya Reef Ellaidhoo. Welcome to an island paradise. Where the sun sets at your doorstep whilst glistening waters reflect off a cerulean sea. Where peace and tranquillity envelops you. A Stunning, Untouched Eden Among Maldives Beach Hotels. At Holiday Island Resort & Spa , the rush of time slows. The crystalline seas and soft, sandy shores remain as nature made them, beckoning guests to one of the world’s last unspoiled paradises. Shape your dream holiday at this secluded Maldives beach hotel, where pristine beauty, personalized service and modern indulgences have formed a retreat of unparalleled allure. Explore the underwater treasures of one of the world’s premier dive locations. Sip a cocktail on your private terrace as you watch the sun dip below the horizon. Or simply lounge on the white coral sand and soak up the radiant sun. Escape to this tranquil, wonderfully relaxed choice of Maldives beach resorts, and discover a tangible embodiment of your ideal tropical paradise. Hulhule Island Hotel, located on the International airport island is a modern and exotic hotel catering to the diversified needs of guests. Set in a heavenly ambiance of turquoise blue waters, Hulhule Island Hotel is a perfect place for the guests on leisure as well as on business. It is a happening place to be in; as well it is a tranquil haven at various locations within the hotel. 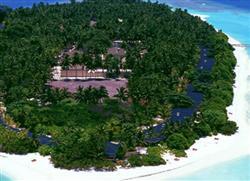 Hulhule Island Hotel has the distinction of being the only hotel on the island where international airport is located. It is less than 5 minutes travel by surface from the airport and complimentary hotel shuttles are available round the clock for the convenience of the guests. 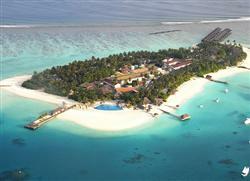 The closest island Male’, the capital city is 10 minutes boat ride away from the airport island. Hulhule Island Hotel also provides scheduled transfers between HIH and Male’ by ferry for the guests to visit the capital city and this service is also provided complimentary. Hulhule Island Hotel is the place where elegance blends uniquely creating an ambiance of tranquility - it is large enough to find a quiet seclusion and small enough to share with loved ones. The hotel boasts of a range of luxury accommodation and facilities designed to suit the taste of avid guests. All the 136 guest rooms have a panoramic view of the breath taking Indian Ocean in different shades of blue. The facilities and the features are wonderful but the service is even better as the team of Hulhule Island Hotel truly lives up to their promise, ‘We care for you’. The Resort offers 118 spacious private Villas and a wide range of facilities and services, in full respect of the pristine natural Island’s ambience. Kihaad features white sand beach all around its coastline, allowing Guests to fully enjoy, in total relax, a 360° coastal area and its breathtaking sealife, thanks also to diving and snorkeling activities. Welcome to Kihaad, where sun, blue sky and turquoise ocean melt together… all designed around you. JWelcome to one of the best accommodation in Maldives! Nestled amid lush tropical vegetation and shaded by graceful palms. 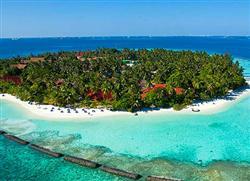 Encircled by stretches of powdery sandy beach and a vast crystal clear lagoon, a truly breathtaking island with plenty of secluded sandbanks where paradise seekers escaping from the pressures of daily modern life can forget the outside world and let go of all inhibitions. Be as active as you want - Be as quiet as your want - This time is all yours.Set in the turquoise heart of the Indian Ocean that is Maldives, Olhuveli Beach & Spa Resort is situated at the tip of South Male’ Atoll and offers one of the best luxury water villa accommodations, restaurants and recreation activities. 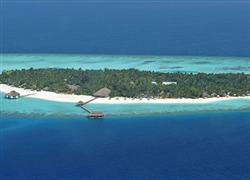 Olhuveli is accessible by a 45-minute exhilarating speedboat transfer from Ibrahim Nasir International Airport. 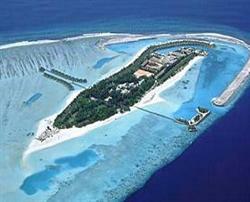 Set on the island known as Lankanfinolhu, located in North Male' Atoll. 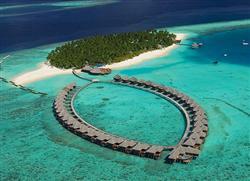 Featuring luxury villas and suites overlooking the Indian Ocean. With fabulous dining and nightlife and a wide range of watersports and recreation. A fifteen-minute boat ride from Ibrahim Nasir International Airport. 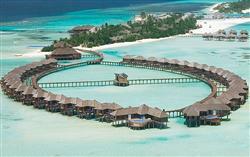 Exquisitely Appointed Maldives Water Bungalows, Suites, And Guest Rooms. Experience the tropical splendour of Paradise Island Resort & Spa, a majestic waterfront retreat completely surrounded by azure Indian Ocean waters. Park Hyatt Maldives Hadahaa - luxury resort experience with a seamless integration of environment, culture and modern design. Situated on a private island, 55km north of the Equator in one of the largest and deepest atolls in the world, North Huvadhoo. Park Hyatt Maldives Hadahaa is truly striking and is the only resort in the Maldives certified for both design and construction by EarthCheck - The next generation of environmental certification and benchmarking. Featuring only 50 villas, on land and over water, these impressive spaces are designed with the utmost comfort and luxury in mind, whether nestled within the island’s tropical foliage, only steps from the ocean, or elevated above the water. All villas feature a minimalist style, floor-to-ceiling windows and every comfort you would expect, while Park Pool Villas have the added luxury of a plunge pool. Dining experiences are available at the resort's two restaurants - "The Dining Room" and "The Island Grill" offering international and regionally inspired dishes in sophisticated yet casual settings. Meanwhile, the contemporary poolside bar and the unique Dhoni are great places to sit back, unwind and enjoy a refreshing drink. For special occasions there are a variety of private dining experiences, including Nature, Lagoon, Starlight and Maldivian, each showcasing a unique aspect of the Island. In-villa dining is available at any time. A variety of activities allow guests to make the most of the natural surroundings. Our 5 star PADI Dive and Activity Centre will create experiences to suit any guest. Diving and snorkeling around the island’s magnificent private reef is a must while local island visits, dolphin spotting, sunset cruises and the one of a kind "Cross the Equator" trip will offer ever lasting memories. If it is wellness you seek then The Vidhun Spa with 5 private villas, 80 foot tranquility pool and jacuzzi is perfect for individual or couples’ treatments. Private or shared yoga sessions with our resort instructor complete the wellness concept of the Spa. Silver EarthCheck certification- Park Hyatt Maldives Hadahaa was the first property in the Maldives to follow the EarthCheck Planning and Design Standards during construction. 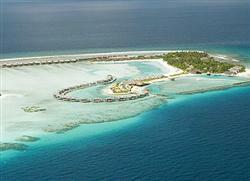 TripAdvisor – Park Hyatt Maldives Hadahaa earns 2012 and 2013 TripAdvisor Certificate of Excellence award. 2012 Green GOOD DESIGN Award - Park Hyatt Maldives Hadahaa wins the coveted Green GOOD DESIGN Award for its ongoing commitment to sustainable design. The Asia Pacific Hotel Awards 2013-14 – Park Hyatt Maldives Hadahaa is recognised in the ‘Sustainable Hotel’ and ‘Hotel Architecture’ categories. Experience the very authentic Maldivian hospitality in this exotic island paradise, set in a crystal clear lagoon surrounded by a coral garden at the heart of Ba. 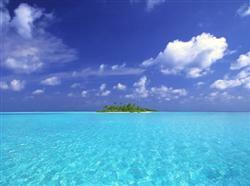 Atoll, a UNESCO biosphere reserve. Delight your senses, pamper yourself in a truly exotic tropical indulgence; Royal Island making your “Maldives” dreams come true. Our pleasure is your service at Royal Island Resort & Spa, where each guest is royalty. An aristocrat would feel perfectly at home in our elegant Maldives luxury villas. Rich, colored textiles, exquisite marble, intricately carved wooden furniture, and subtle lighting provide alluring ambiance and stately splendor Here, complete privacy and solitude are taken for granted. The beach and crystal clear waters of the lagoon are just a few steps away from your private veranda. Each Maldives luxury rental offers a truly unique retreat, where warm water breezes and dramatic views offer a stirring sense of escape at every turn. As you stroll along the resort’s edge, the vast Indian Ocean stirs a sense of awe deep within you. Like a pearl in its oyster, you’re embraced by the soothing ambience of Shangri-La’s Villingili Resort and Spa, Maldives. Relaxing in your villa on a brilliant tropical afternoon, you enjoy the stunning view where the azure waters meet sapphire-coloured skies. Built on stilts in the resort's lagoon, the private haven is connected to the island by a timber walkway, over waters teeming with marine life. 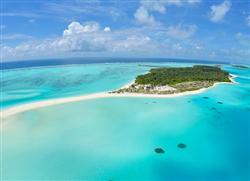 The turquoise lagoon whispers the beauty of its shoreline as waves lap against the beach, beckoning you. With so much else to do at the resort, the sea will have to wait. Peals of laughter fill the air. From somewhere, the rich aroma of coffee wafts towards you. You soak in the local vibes over a delectable lunch served on your villa deck, hoping the moment lasts forever. As night falls, you anticipate a sumptuous themed dinner, a dining experience served in one of the resort’s most secret locations. Surrounded by lush vegetation and nocturnal sounds, open-flame torches are your sole illumination. You take a seat at a finely-adorned table. From tasty appetisers to sizzling barbecued specialities, the dinner is perfect, right down to the local-dessert finale. Tomorrow, perhaps you'll seek adventure with an expedition to the equator on a two-mast luxury yacht. 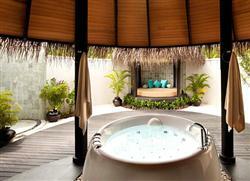 For now, you long for the endless horizon views at the Villingili Golf Course, and the magic of CHI, The Spa. Welcome to Shangri-La's Villingili Resort and Spa, Maldives, where extraordinary adventures await. Welcome to Vilu Reef Beach Spa Resort! A luxurious emerald island poised amidst shimmering pools of turquoise and sapphire. A vision of paradise – even before ..... 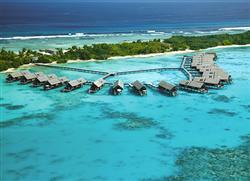 Welcome to Vilu Reef Beach & Spa Resort! Escape to an exotic world of breathtaking possibility, where adventure and relaxation are equally within reach. 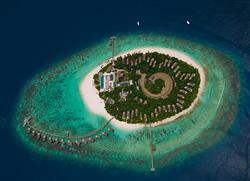 At Sun Island Resort Spa – a flowering jewel am..... Escape to an exotic world of breathtaking possibility, where adventure and relaxation are equally within reach. At Sun Island Resort & Spa – a flowering jewel among Maldives family hotels – every moment is free to shape into your personal version of paradise. Cruise along our stunning sapphire lagoons by jet-ski, canoe, windsurf or catamaran. Explore the spectacular local scenery and unique Maldivian culture with excursions to neighboring islands. Or, simply let the ocean breeze caress you to sleep as you sway gently in your hammock. From invigorating activities to precious tranquility, our Maldives fun island resort will captivate the heart with extraordinary experiences and unforgettable memories. Perfect Seclusion. 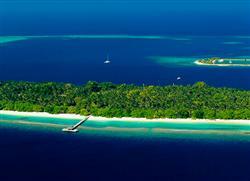 Your private coral island in the sapphire Indian Ocean. An exhilarating 25-minute speedboat ride from Malé airport. Chilled drinks and a warm..... Luxury Undressed. Gentle sands leading you to the water’s edge. Soothing vistas across the spectacular turquoise lagoon at sunset. Minimalist contemporary chic meets comfortable natural elegance in your own private hideaway. Five dining venues, each providing a taste of the exotic. Two innovative bars, the ultimate chill-out. Experiences that immerse you in local culture, underwater explorations that introduce you to our tropical marine world. Days and nights of simple indulgence. Step into the unknown. Welcome to Velassaru. from Malé airport. 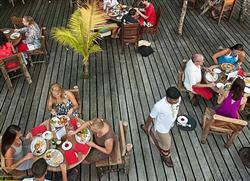 Chilled drinks and a warm welcome await you on Velassaru’s wooden jetty. Please fill out the information below, mandotary fields are marked * .